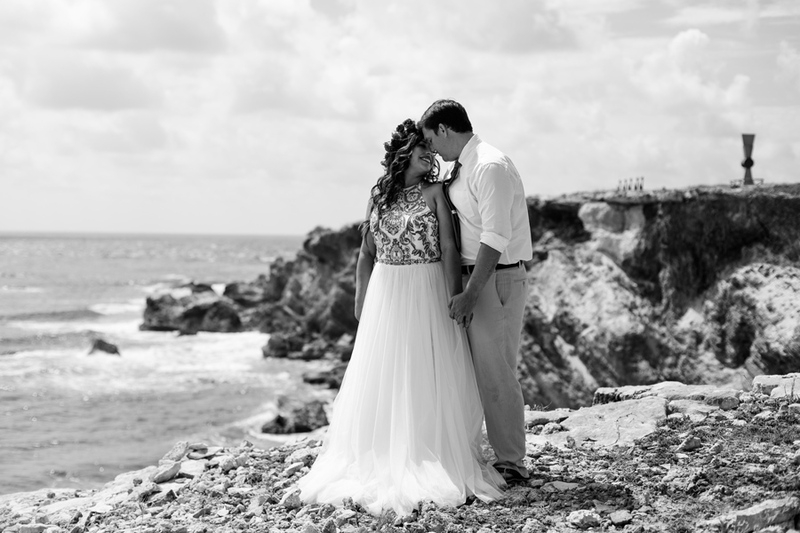 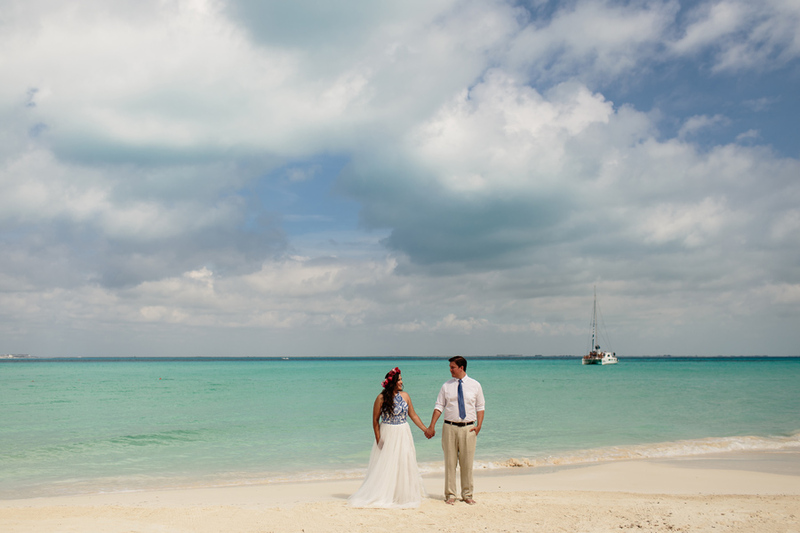 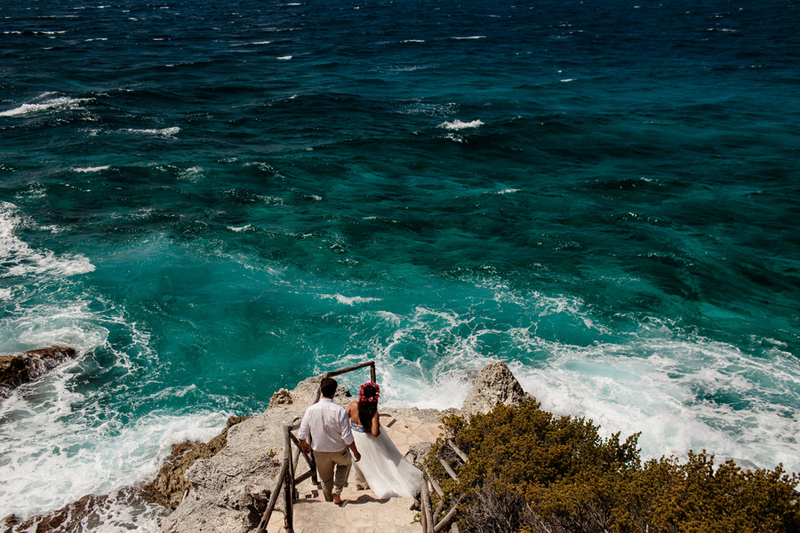 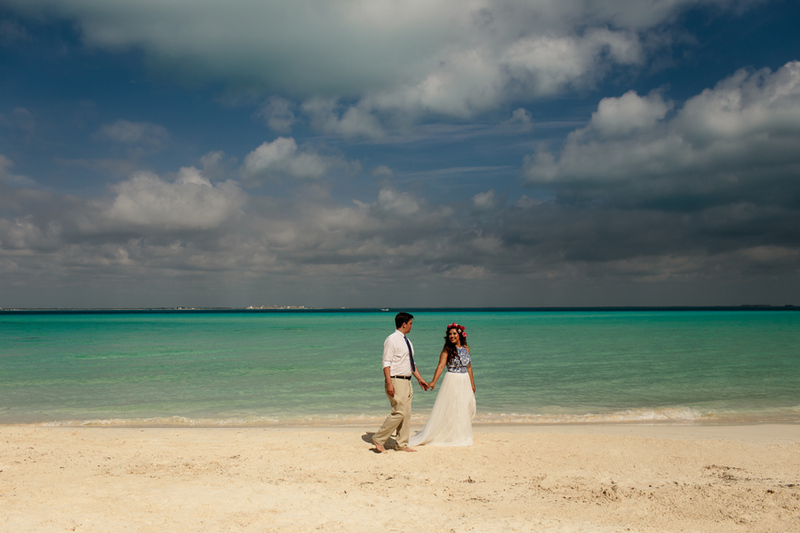 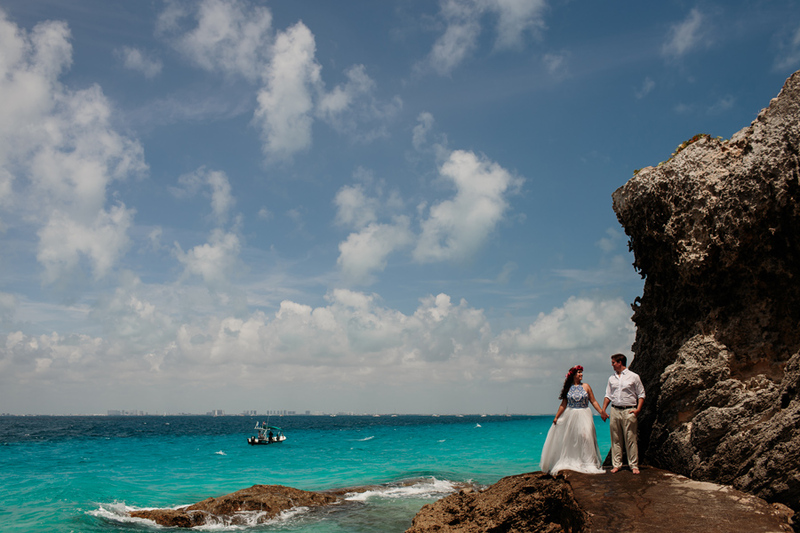 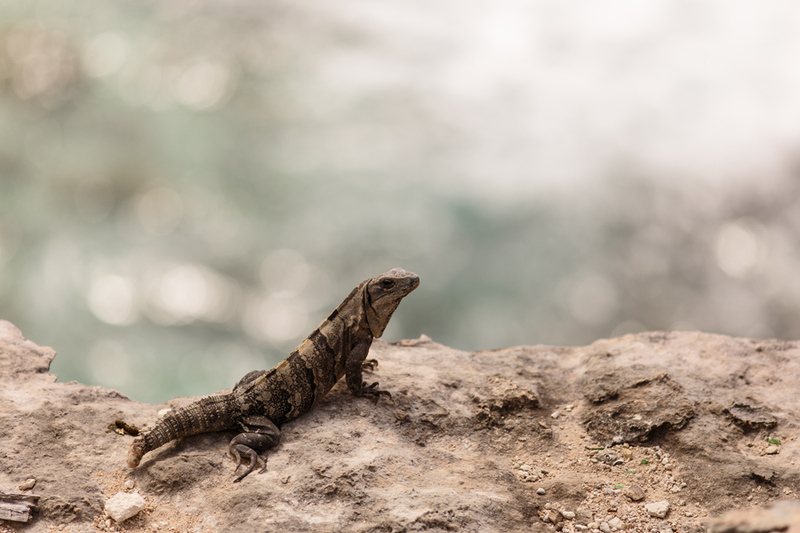 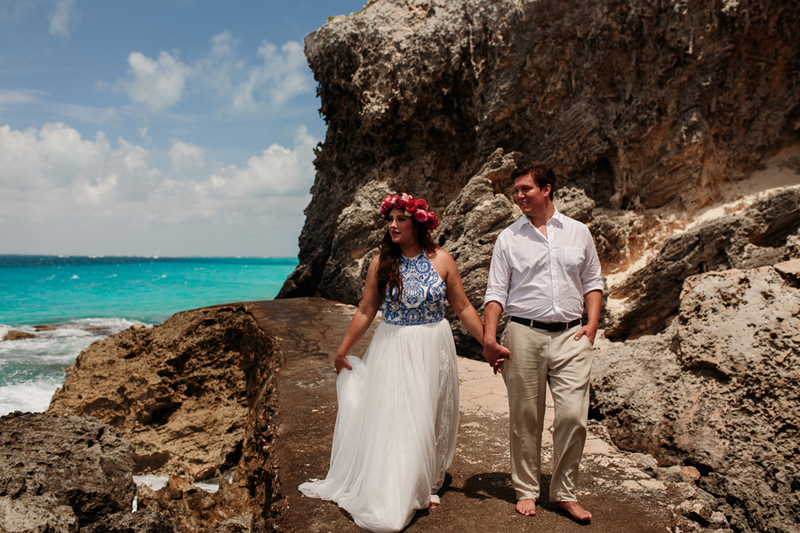 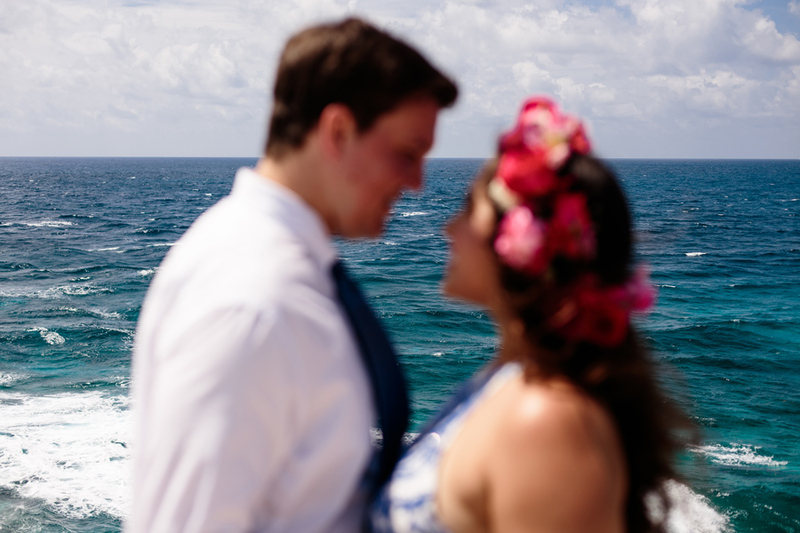 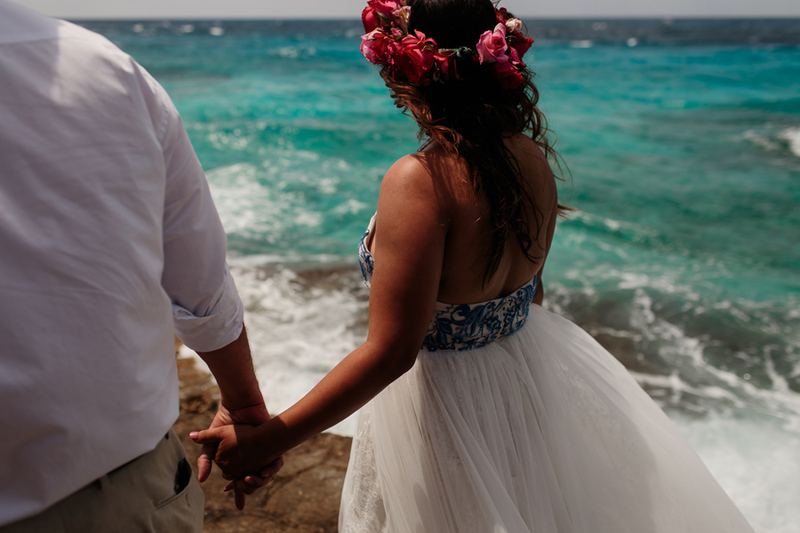 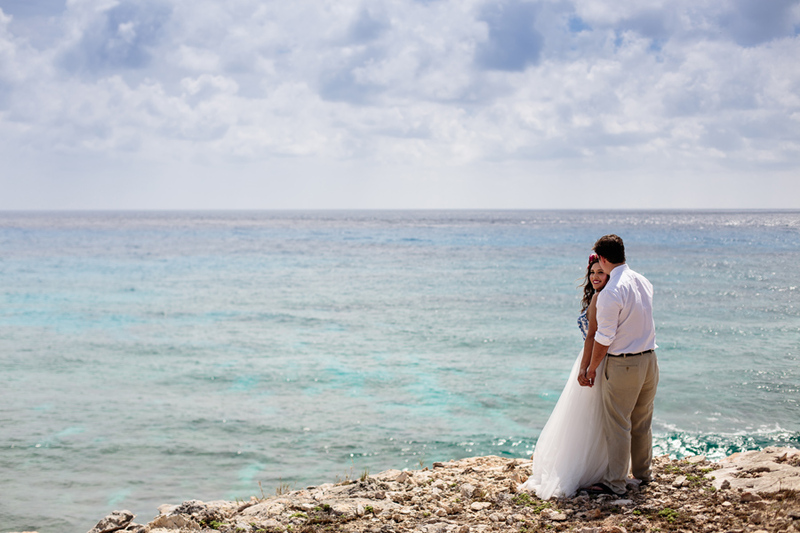 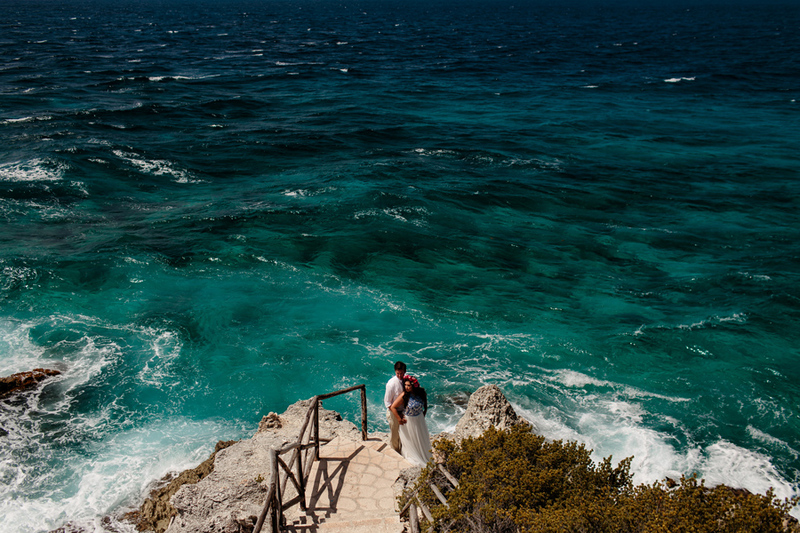 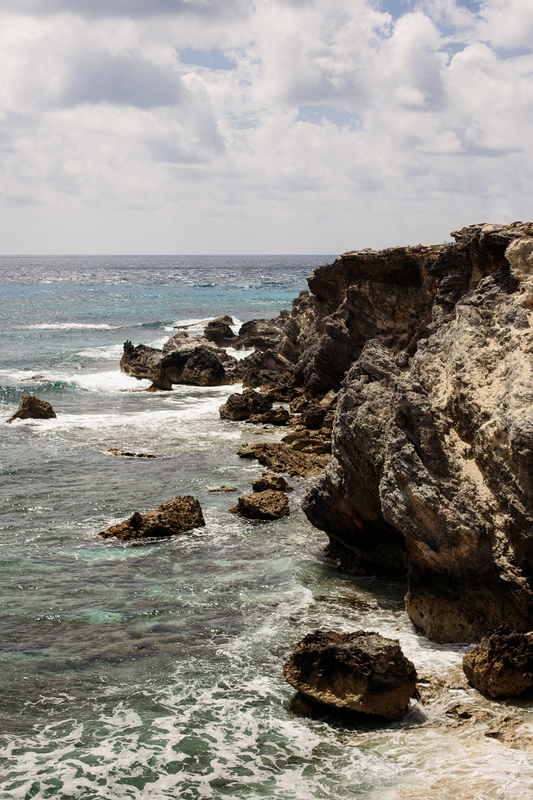 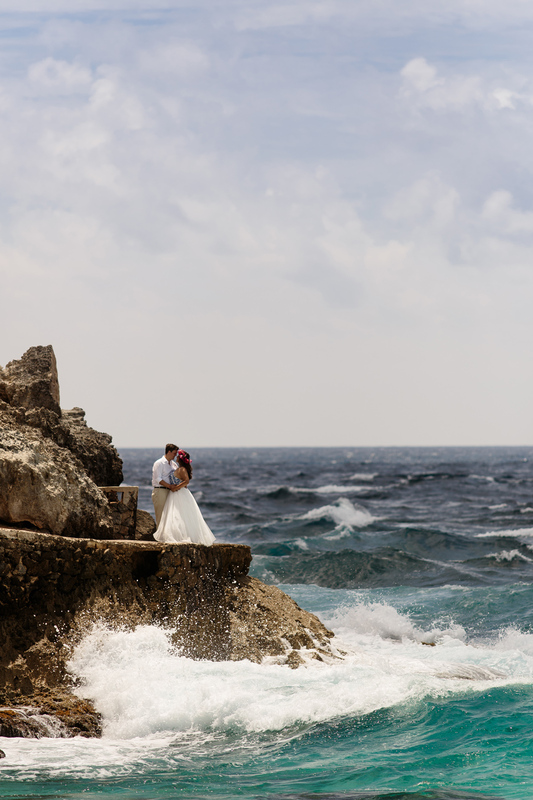 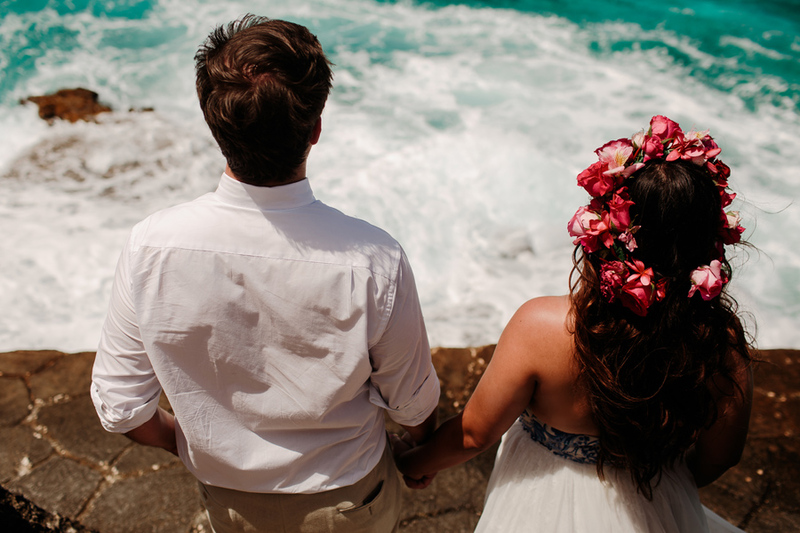 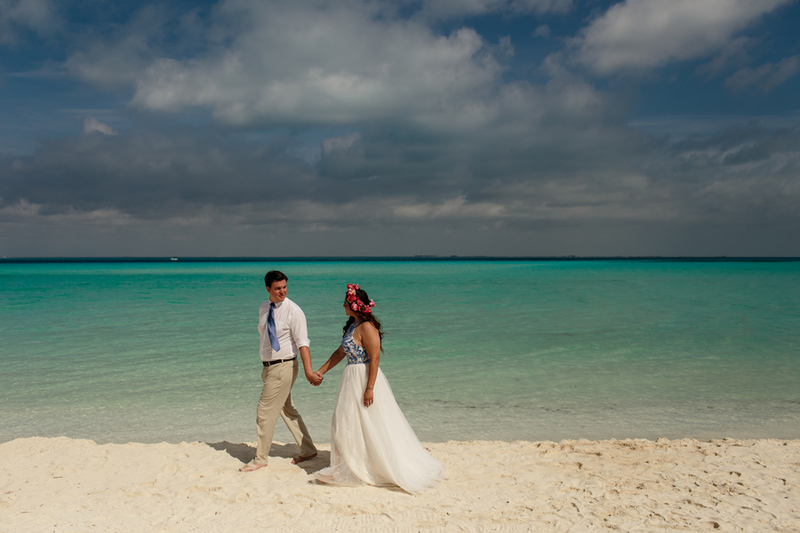 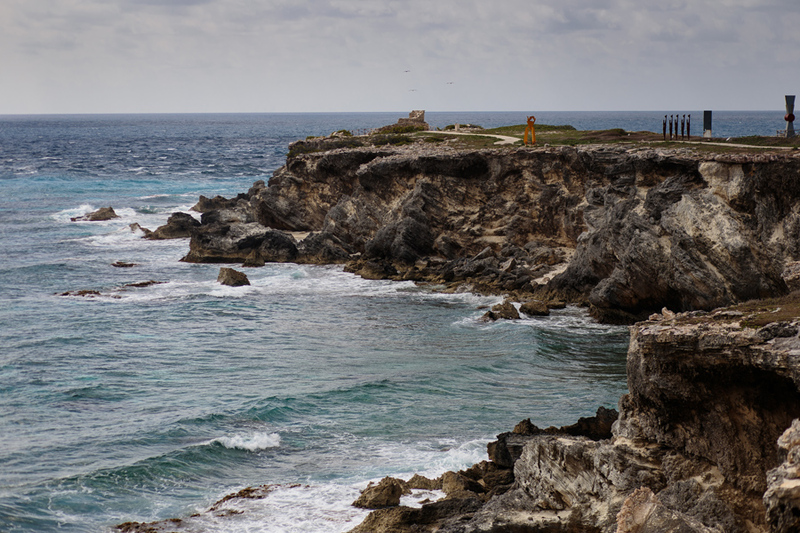 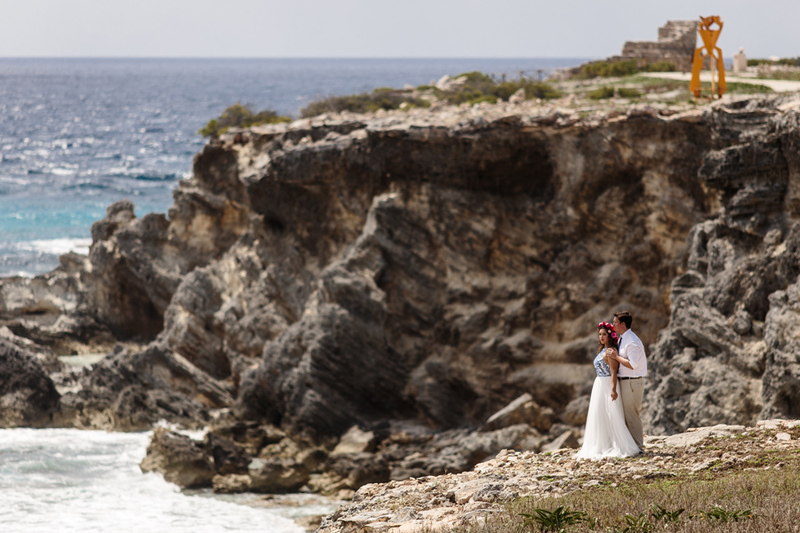 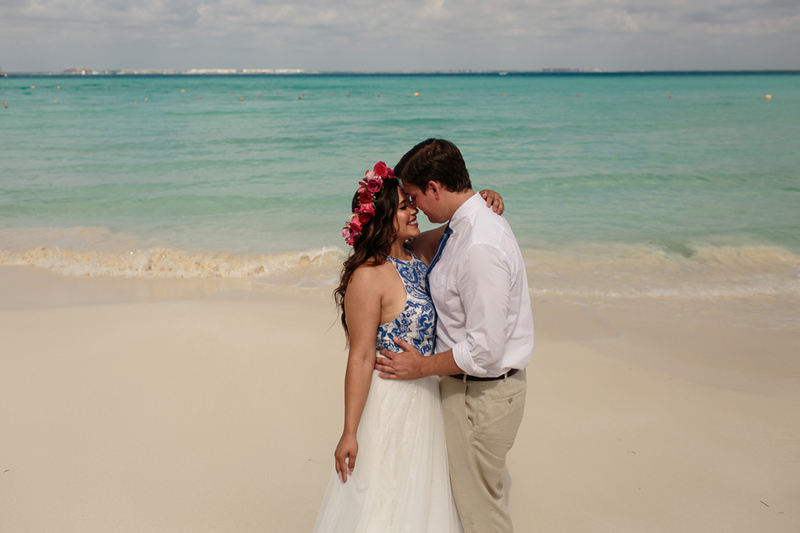 We flew down to Mexico to photograph Jimmy & Nichole in one of the most beautiful places we’ve ever seen, Isla Mujeres. 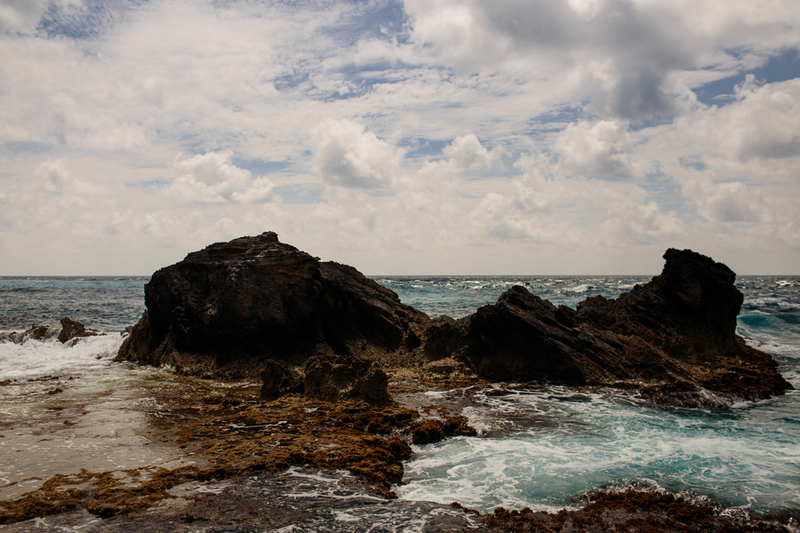 We were vibing the island life right off the bat and in a place this awesome, you barely notice the intense Mexico heat. 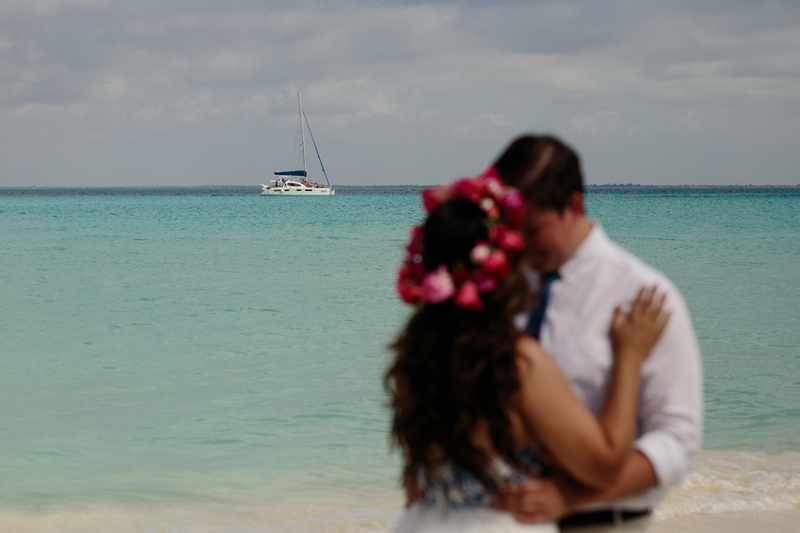 Everything here reminds you of paradise and the teal waters invite you to grab a margarita and cool off under a palm tree in between a catamaran boat ride and your second nap of the day. 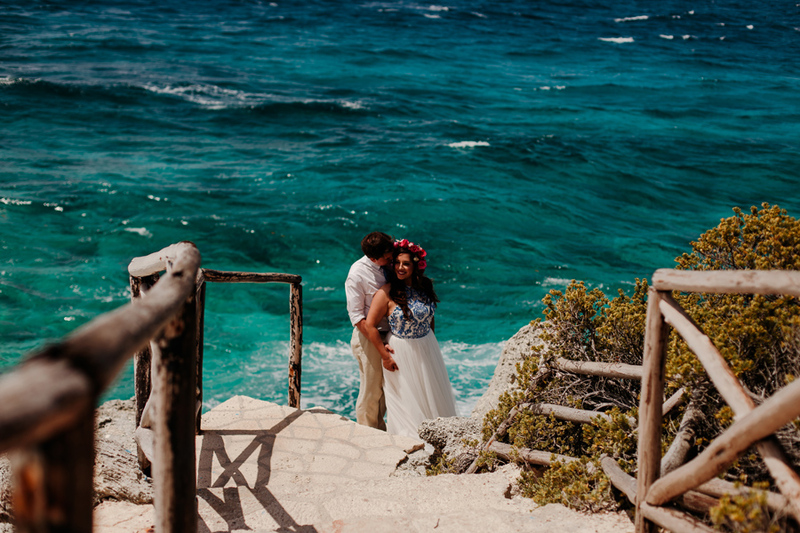 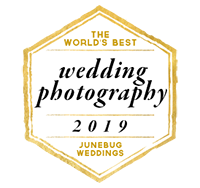 Needless to say, we completely understand why Jimmy & Nichole chose this place for their destination wedding and we absolutely love them for bringing us along for the adventure! 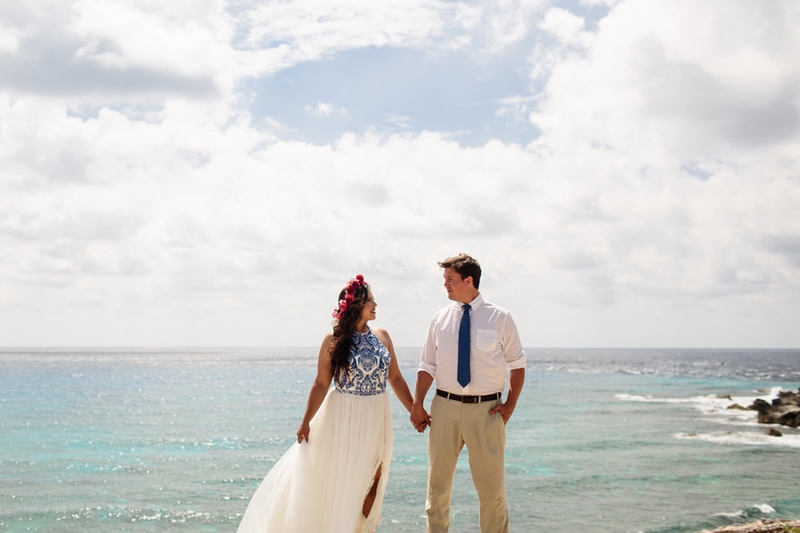 We met up with Jimmy & Nichole and immediately loved them from the beginning! 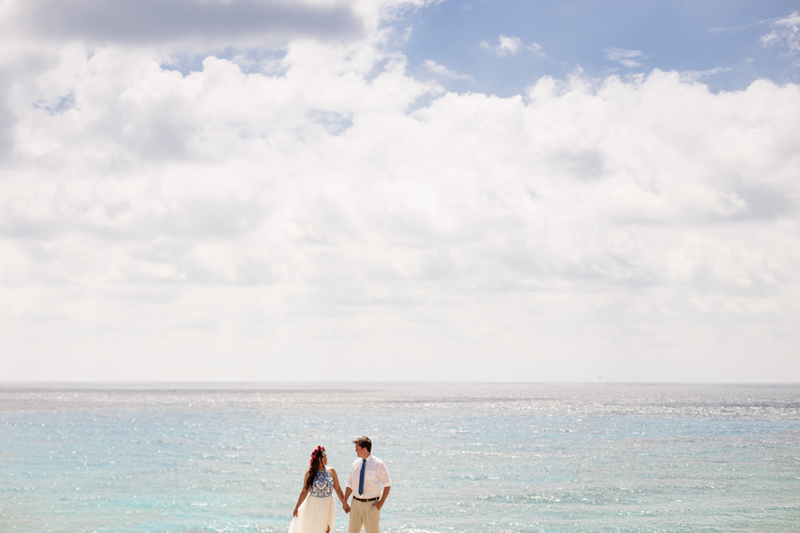 We could tell that they had a slightly stressful start to their trip and were ready for some fun and relaxation. 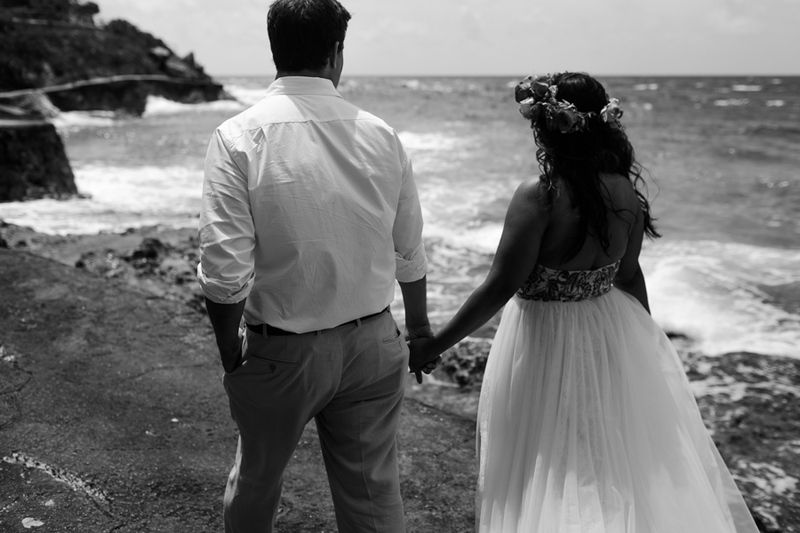 Enter, The Stewarts Roam! 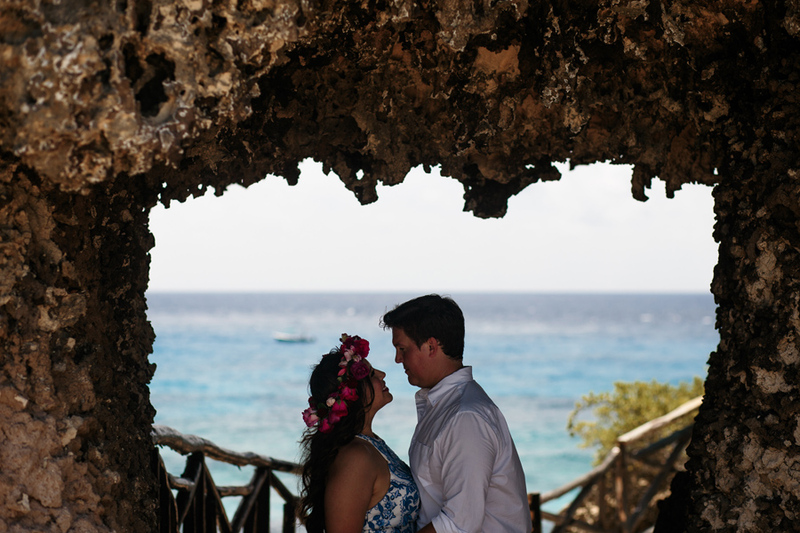 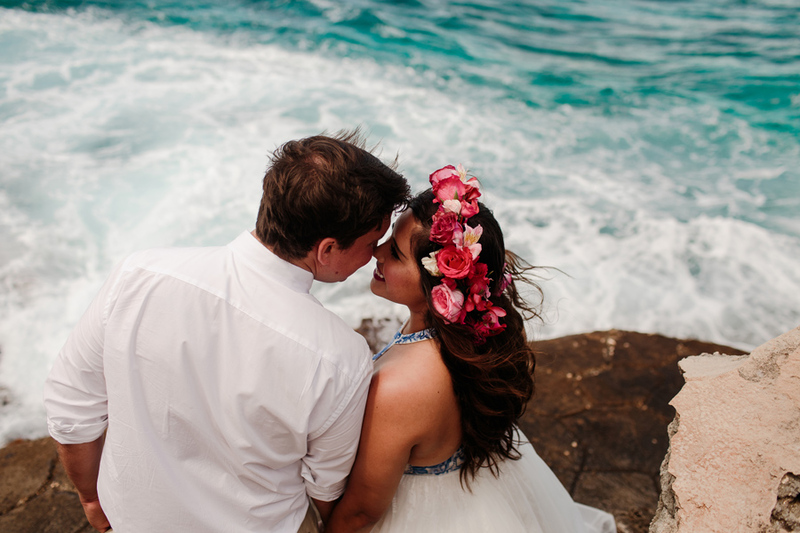 We started the day at Playa Norte for their ‘day before’ engagement session and wanted them to just focus on being together and having a good time on this beautiful island. 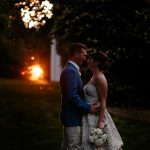 They were both naturals from the start and we loved seeing the stress roll of their shoulders as they realized all their hard work and planning was (pretty much) finished. 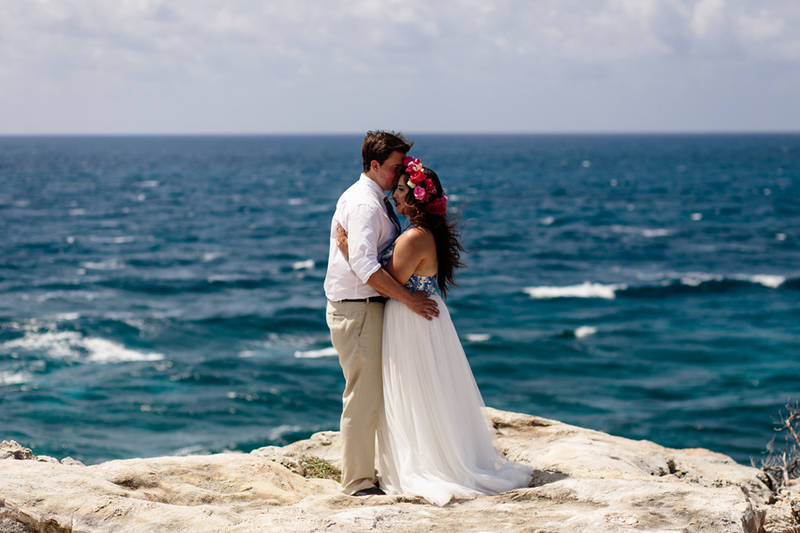 We loved exploring with Jimmy & Nichole in this unbelievable spot! 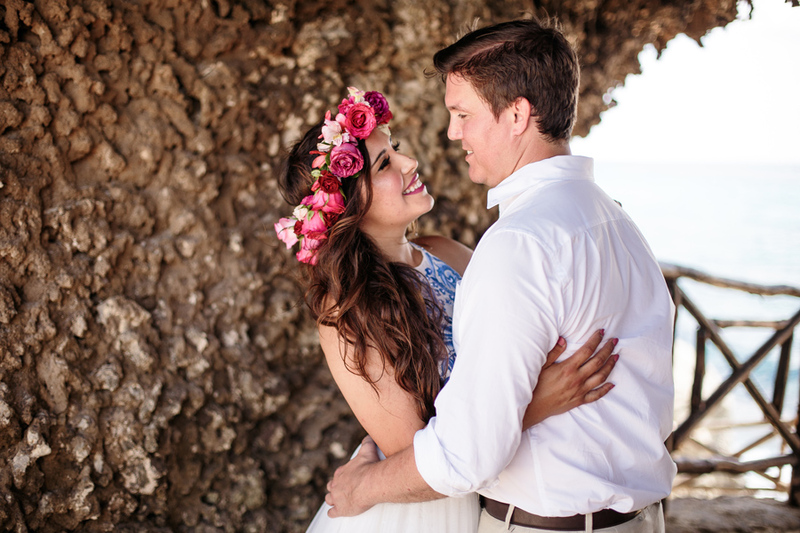 Nichole’s outfit and flower crown fit the style of this place perfectly. 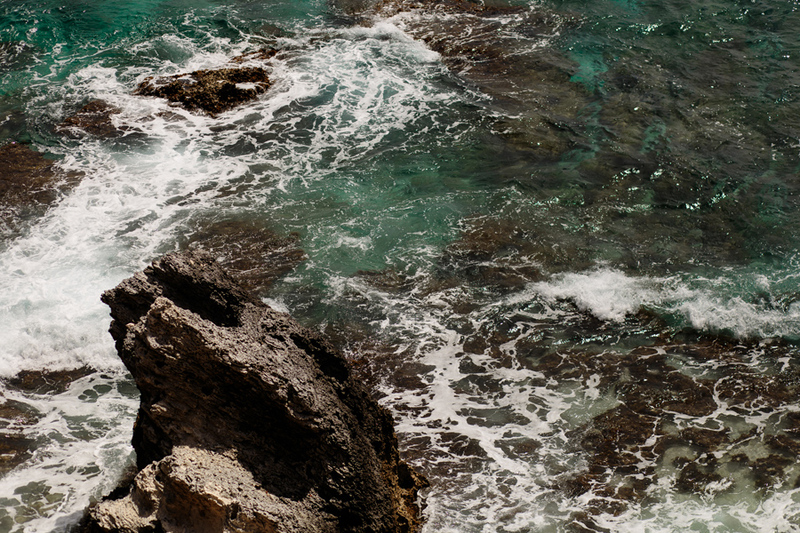 Not to mention her undeniable beauty. 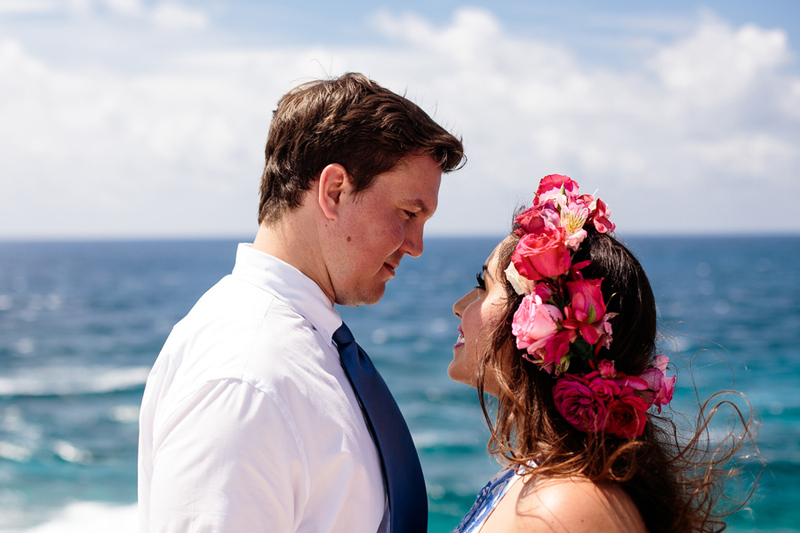 These two are such an adorable pair and we were thrilled to have this time to get to know them before their special day. 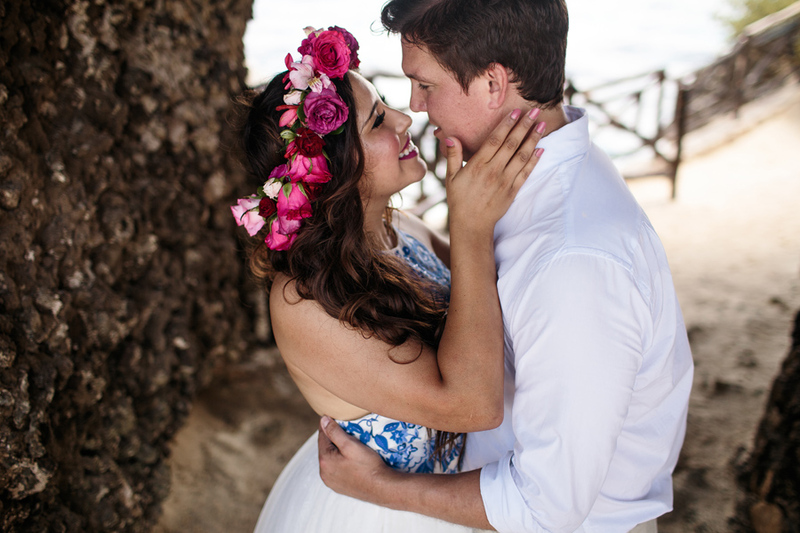 We can’t wait to share more of their love story, stay tuned!